The day I discovered Tate’s Bakeshop Gluten Free Chocolate Chip Cookies was the day my life started anew. They are thin, crispy, chewy, buttery perfection. And want to know a secret? They are better than regular chocolate chip cookies. For serious. I don’t know how they did it, but they did it hard. I recently had a BBQ for friends and one of them was gluten intolerant. Instead of torturing her and making ice cream cookie sandwiches with regular cookies, I decided to use Tate’s gluten free cookies for everyone to rave reviews. The comment heard most "I would have never known these were gluten free! 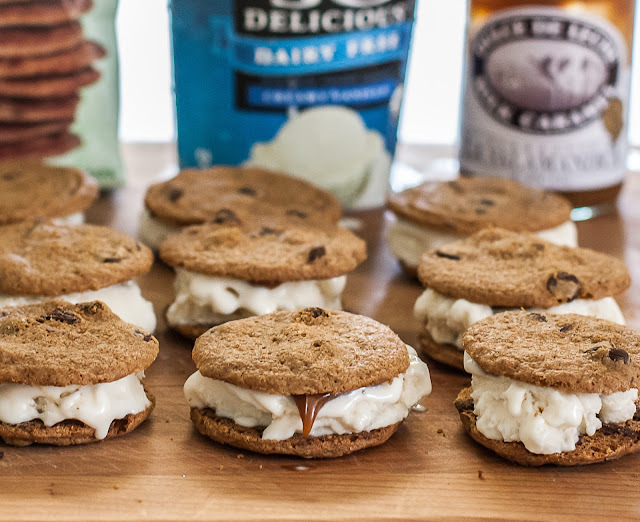 They are the best cookie sandwiches I've ever had." 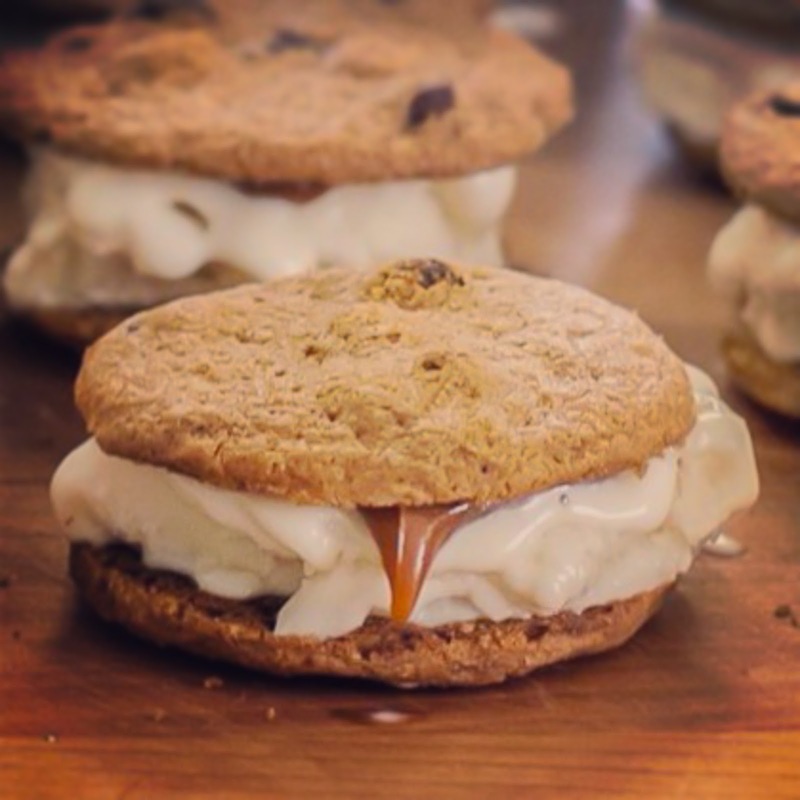 And who doesn't want to feel like a kid again and chow down on an old fashioned ice cream cookie sandwich? I know I do. If you don't, well, maybe you should go back to where you came from. Mars, most likely. I rarely post recipes I don’t make from scratch...but they were just so good! Take my brand advice on this one, kids. You can find Tate's and So Delicious vanilla ice cream at Whole Foods. The La Salamandra Dulce de Leche is at Williams Sonoma. Lay cookies on a flat clean surface. Dollop 6 cookies with a tablespoon of dulce de leche sauce. Top the other 6 cookies with one scoop of softened ice cream. Sandwich dulce de leche covered cookie with ice cream covered cookie. Repeat until done. Wrap sandwiches in parchment paper; put in the freezer for at least one hour to set. You should have posted this with a warning for me NOT to look at it until after my competition. LOL! This is dessert perfection - and much better than the chipwhich things I used to eat growing up! They look decadent and super delicious! Wow! I would love to have some of these goodies! So temepting! YUM! I love Tate's GF cookies, too, but I never even thought of doing this with them. I might also try it with their GF ginger cookies. I agree they make a good cookie and I can only imagine how great they would be with ice cream in the middle!